Manchester dental clinic highlights ten things you think are good for your teeth … but aren’t! Even though the majority of us probably pride ourselves on the care we take in looking after our teeth, some of the things we do could, quite unwittingly, be actually causing them harm. Dr Tariq Idrees of Manchester dental clinic, Carisbrook Dental, has highlighted ten damaging things lots of us habitually do to our teeth, including how we use an electric toothbrush that could be bad for them. If you’re not using it properly then it’s probably next to useless. With modern electric toothbrushes you only have to gently touch the teeth with the bristles. Press on too hard and the bristles bend and lose their effectiveness. 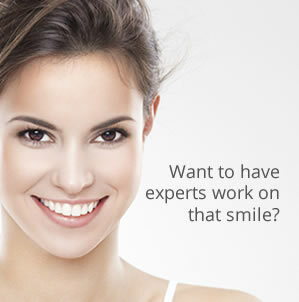 If you’re not sure why not contact Carisbrook and ask one of our hygienists to give you a demonstration. This type of toothpaste has become very popular over recent years, but an abrasive formula that contains bicarbonate or whitening pastes can wear away the enamel, which in turn leads to sensitivity. If the enamel wears and exposes the inner amber-coloured dentine then this could also darken the appearance of your teeth. Exactly the opposite effect you were hoping for. Rinsing with water after brushing your teeth. At the Manchester dental clinic we’ve discovered that most people habitually swill their mouth with water after brushing their teeth. This simple action though will actually wash away the fluoride that came from the toothpaste. If you feel the need to rinse out your mouth after brushing then you should use a non alcohol-based mouthwash. By the way you shouldn’t eat or drink for at least half an hour after brushing. Brushing your teeth too hard. Many of us are guilty of this practice. Brushing hard doesn’t clean your teeth better; in fact it is quite the opposite, because brushing too hard will wear the sides of your teeth down, leaving ‘V’ shaped defects near the gum margins. 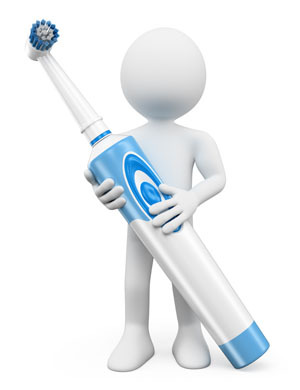 You should also vary your brushing pattern and don’t always begin brushing in the same place. Mix up your brushing technique so every part of your mouth is covered. You should always brush in a circular motion rather than side-to-side. Alcohol-based mouthwashes can be harsh and long-term use has been linked with the development of oral cancer. Excessive use – three times a day – presents a health risk. Always use a non alcohol-based mouthwash. At Carisbrook’s Manchester dental clinic mouth cancer screening is part of our routine dental examinations. Flossing your teeth is good, but using the wrong technique, such as a sawing action, can cause damage and recession of the gums. The correct way to floss is to slide the floss gently up-and-down between your teeth. Brushing your teeth at the wrong times (or too often). You should not brush your teeth straight after eating citrus fruit or drinking wine. This is because your teeth’s enamel is softened by acid and so brushing straight after will wear the teeth excessively. You should always wait for at least 30-minutes for the acid to neutralise before you brush. You can also use a fluoride mouthwash to help neutralise the acid. Trendy? Yes, undoubtedly, but in reality these toothpastes tend to have very little science behind them. If a toothpaste is fluoride free then at Carisbrook, the Manchester dental clinic, we would not recommend it. Fluoride has been proven beyond doubt to prevent tooth decay. Holistic toothpaste, without fluoride, may help prevent gum disease – but not tooth decay. A hard toothbrush has to clean better doesn’t it? In a nutshell … no! Hard toothbrushes can cause excessive wear and recession of the gums. Brushing your teeth for 45 seconds. Surveys show that as many as 43 percent of patients brush their teeth for just 45 seconds. This is not long enough to give them a thorough clean. You should brush for at least two minutes and at least twice a day. If you would like more advice from Carisbrook Dental, the Manchester dental clinic, please contact us by calling 0161 951 7295 and book your new patient FREE CONSULTATION. We are now taking on new patients so why not join us at Carisbrook? Just go to our New Patients page and send us an online message.